At the age of 15, Arthur Langerman started his training in a diamond-cutting workshop in Antwerp, where he learned about the various stages of diamond production. 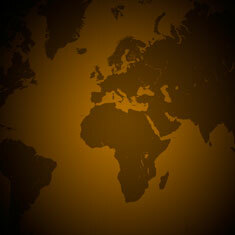 After several years of apprenticeship, he set up his own business and became, in turn, a diamond manufacturer. 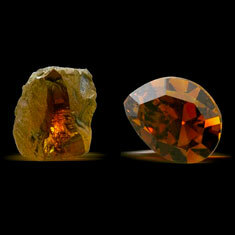 The natural color diamond has always been Arthur Langerman’s true passion. He was drawn to their subtlety and infinite chromatic variety, and in parallell with his classic training as a diamond merchant, he specialized in the extremely skilled art of cutting these particular stones. "People tried to discourage me from dealing with these strange - and this was the perception at the time - worthless stones. But I couldn't let them go", he remembers. 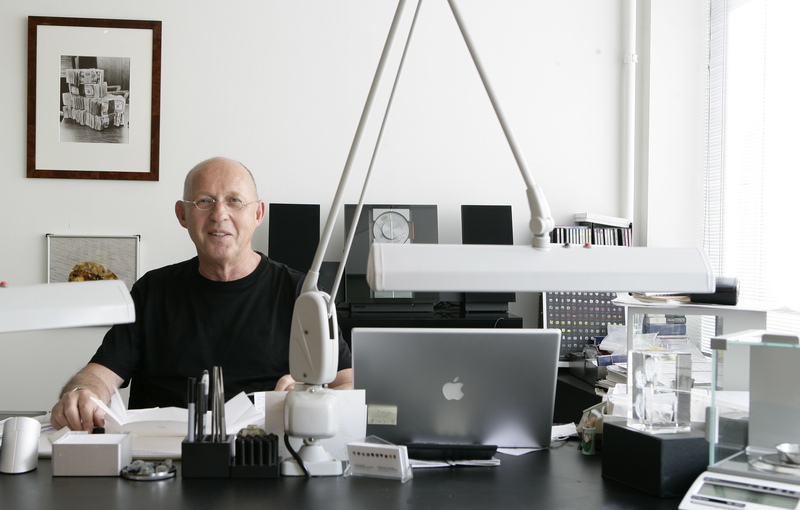 He became a pioneer in the field and has devoted much effort to educating traders and the general public as to the value of natural color diamonds. 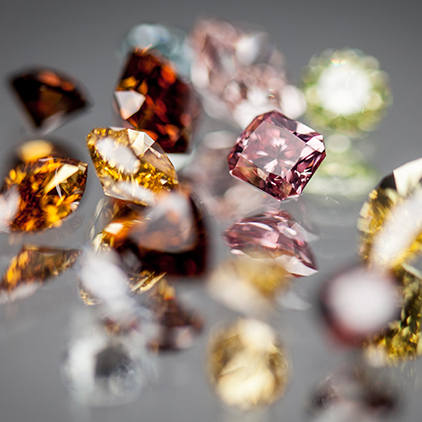 For over 50 years now, the gentleman called the "Colorman" of the diamond has worked tirelessly to build up a collection, encompassing tens of thousands of natural color diamonds of all hues, qualities, shapes and sizes. His private collection is regularly exhibited at the most prestigious venues and museums, such as the exhibition "Carat, Couleur & Création" at the Cinquantenaire Museum in Brussels in 1991, and the "Diamanti" exhibition in Rome in 2001. 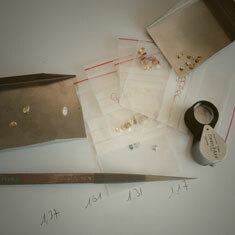 Langerman Diamonds now has access to the largest stock of natural color diamonds in the world. 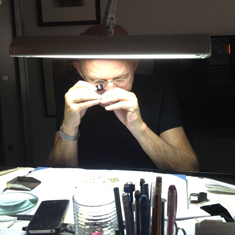 Although this particular passion placed him, for many years, on the fringes of the diamond trade, he is today recognized as one of the world’s leading specialists in the field, and is considered by his colleagues as well as by the world’s leading jewelers as the reference on natural color diamonds. 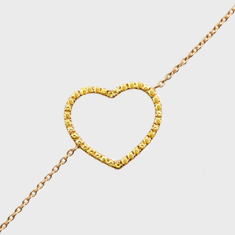 Examples of clients who trust his expertise and the quality of his services since many years are Louis Vuitton, Van Cleef & Arpels, and Boodles & Dunthorne. 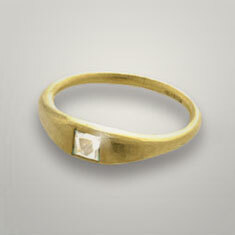 Arthur Langerman is a member of the three Antwerp Diamond exchanges, and is an Expert for the Belgian Royal Family. 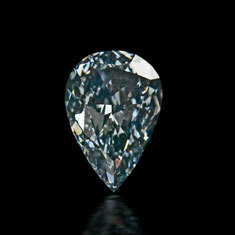 Natural color diamonds nevertheless remain a mystery to many. To display a representative selection of our stock, and to facilitate the relations with international clients, we created the website, www.langerman-diamonds.com. The site focuses exclusively on natural color diamonds and demonstrates that these beautiful stones are available for every budget. Our vast inventory including over 300 colors of all shapes and qualities, that can meet every taste or preference, as well as the most beautiful and rare color diamonds ever found, allows Langerman Diamonds to satisfy all orders: they can fulfil the most difficult requests for rare diamonds or color-matched series in sizes starting from 0.01 ct, just as they can supply individual stones costing just $150. 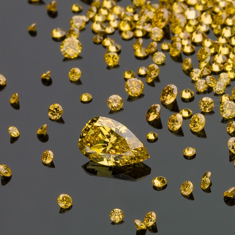 Langerman Diamonds is also one of the very few websites in the world to propose rough diamonds for sale, which has become increasingly popular to make custom made jewellery. Included in the website is the Natural Color Diamond Encyclopedia – created to educate traders and the general public on the fascinating universe of natural color diamonds. It is the first internet encyclopedia devoted to natural color diamonds, and the success was immediate after the launch in 2005. 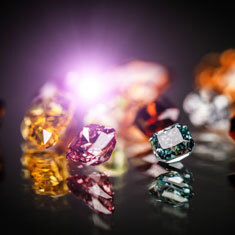 The Encyclopedia has received a number of awards by media such as MSN and USA Today, praising the quality and comprehensiveness of its content and presentation, which makes it accessible to both professionals already initiated in the diamond trade, as well as a public curious to discover more about these unique gemstones. Moreover, we have collaborated with Graff on a book written by Marijan Dundek. It covers the basic knowledge of diamonds and the diamond industry, as well as information about the main factors which determine the value and quality of a diamond. A whole chapter with stunning full-color photographs is dedicated to showing the remarkable variety and beauty of natural color diamonds. The Langerman family has made its first priority to give an extensive and personalized service, to make sure that each client is satisfied. At Langerman Diamonds, all requests are taken seriously, no matter the amount, and no matter how much work it may take to find that perfect diamond, with just the right color. This strong devotion to service has resulted in a 99% satisfaction rating, and a wide circle of clients who trust Langerman Diamonds for these precious purchases.